This second offering in the Mutants series has readers traversing much deeper waters on all fronts than the decidedly shallow swells on offer from its predecessor. This story follows Joel and Amy. Two of the fellow "dolphs" that were introduced in Love, Lattes, and Mutants. Having been raised in the lab, these two, unlike Piper, have no misgivings about who they are and what they have been created to do. In fact, Joel manages to find a measure of happiness in the time that he spends on the world's waters, using his mutant ability to smell oil leaks that if left unchecked, have the potential to devastate everything they touch. But when a trip back to the lab where he and the others were created puts him face to face with a daughter created with stolen genetic material from him and Piper. He knows that he, Amy, and little Angel, have to be free at any cost. But wanting freedom and achieving it, prove to be seahorses of two different colors. Especially when our heroes are up against a twisted scientist, a multinational corporation, and a mutant hating mad man. All of whom with to much to lose to see them go free. This book is far more New Adult than its Young Adult companion. While one is heart sick over the plights of Joel and Amy; the potential exploitation of the innocent Angel, ups the emotional ante to astronomical heights. When you add the components of a race against time, and all of the obstacles standing between Joel, Amy, and freedom. This book is no less than one hell of a fin-tastic thrill ride. As if the waters surrounding Joel and Amy aren't choppy enough. There is also the added complication that hints of a possible love triangle staring none other than Joel, Piper...and Tyler. 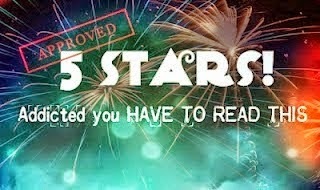 This is a very fast paced read that catapults readers through plot twists, scenes, and emotions at the speed of light. This reviewer is more than happy to recommend Love, Lattes, and Danger to anyone brave enough to dive into its whirlpool of love, action, suspense, and heart. Reviewer's Note: This book is part of a sequential series which must be read in order. *I received this book as in exchange for the honest review provided. Sincerest thanks to Netgalley and Kensington. Multi-published author Sandra Cox writes YA fantasy, historic and paranormal romance and metaphysical nonfiction. Sandra lives with her husband, a menagerie of pets, and an occasional foster cat in sunny North Carolina. To see the brood go to her website www.sandracox1.comand click on the cat tab. 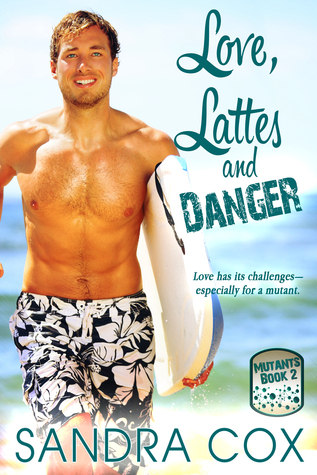 Her twenty-second book, LOVE, LATTES AND DANGER, a YA fantasy published by Kensington comes out in August.